For Drone Repairmen, Robotic Technicians, Sensor Renovators & Drone Programmers. Drones are the future mankind that not only used for war or military purpose but also for general service such as atmospheric research, photography, live monitoring etc. As drones are fragile and prone to break, repairing become a difficult task. 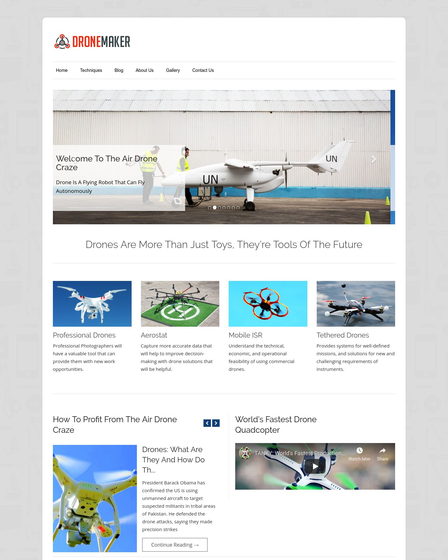 So, if you are a drone mechanic & thinking to take your repairing business online then take a look at DroneDoctor WordPress theme. 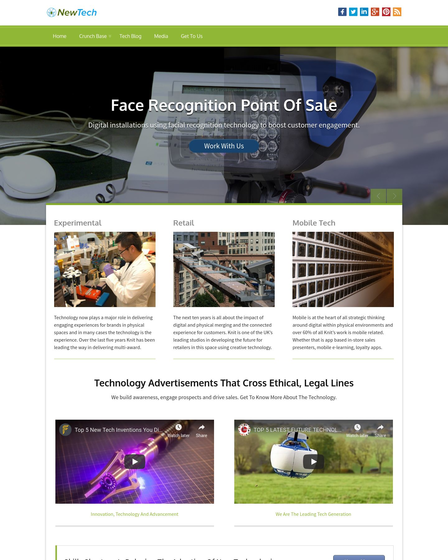 The theme is specially built for robotic technicians, sensor repairmen and all type of people who provide repairing and maintenance for quadcopters. 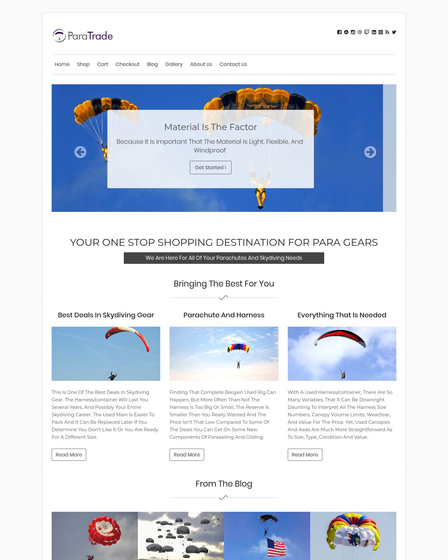 Features like lead capturing, blogging, portfolio section, testimonials make this theme perfect for drone repairing center. Giving news, special deals, and offers to your customer not only make them visit your site again and again but also maintain a good customer relationship. So here exactly lead capturing form come into existence. 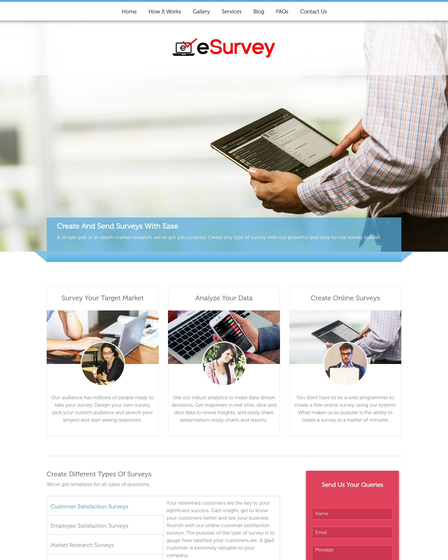 Using the form you can capture the leads, send the informative email to your customers and engage them with latest updates. They just need to fill out the form with basic details like name, e-mail, etc and you can have access to those details to contact them in future. Tell your visitors visually about all the services offered by you on drones for example repair, built, design board programming, etc. You can also add links to the particular image to redirect your visitor where-ever you want. Drones are very expensive and everyone wants to make sure that his drone are in good hands. Therefore displaying positive feedback of your repairing center in the testimonial section of the homepage will become a trustability factor for your customers. Give tutorials on drones, share latest technologies and updates with your customers, attend their queries and clear their doubt by posting blog. Make categories and arrange your blog post very easily from the backend panel. Earn some extra dollars side by side by posting banners of your partner’s website or any other business clients in the banner section. Have multiple services on drones to offer like board repair, motor repair, framing & sensor attachment. Present them in the feature section of the template. 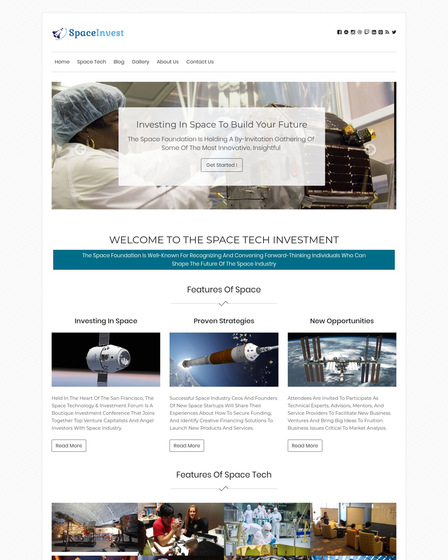 You can also attach a small image and a descriptive text to explain the services and put a link to your desired page. Support all major browser like Chrome, Opera, Safari, Edge, IE 9, IE 10, IE 11.